Yes, yes, yes, we know – we’ve been remiss. No blog posts in way too long. The thing is, we’ve been busy. It’s not a great excuse, but it is the truth. So today, we plan to make up for lost time. This month’s topic is classic posters and classical poster artists. Let’s start with one of the best, and best-known Art Nouveau period mega-stars: Alphonse Mucha. We’ve written about him before, but we think it’s hard to overstate his importance. Alphonse Maria Mucha (1860-1939) is most often remembered for the prominent role he played in shaping the aesthetics of French Art Nouveau at the turn of the century. As a struggling and relatively unknown artist of Czech origin living in Paris, Mucha achieved immediate fame when, in December 1894, he accepted a commission to create a poster for one of the greatest actresses of this time, Sarah Bernhardt. Though the printer was apprehensive about submitting Muchas final design because of its new unconventional style, Bernhardt loved it and so did the public. 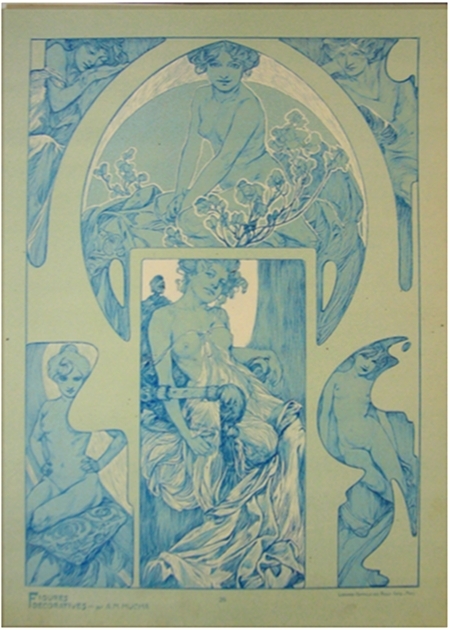 ´Le style Mucha´, as Art Nouveau was known in its earliest days, was born. 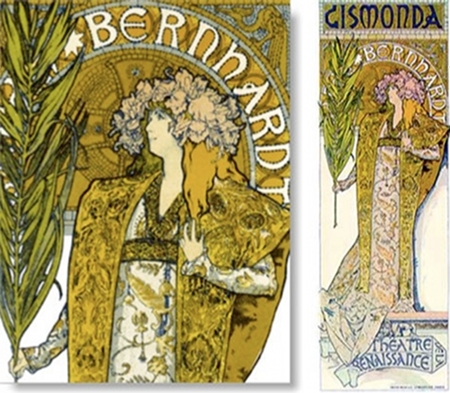 The success of that first poster brought a 6 years contract between Bernhardt and Mucha and in the following years his work for her and others included costumes and stage decorations, designs for magazines and book covers, jewellery and furniture and numerous posters. Mucha returned to Czechoslovakia in 1910, where he dedicated the remainder of his life to the production of a an epic series of 20 paintings depicting the history of the Slav people, the Slav Epic. The Mucha Style (later called Art Nouveau) was one of the first to celebrate the female form. Mucha loved women and each one of his works is a testament to that adoration. Whether he was called upon to create the cover of a magazine or a calendar, he never failed to create an image of lasting significance and importance. Even when called upon to design banknotes Mucha managed to enhance such a mundane and ordinary document in such a way as to transform it into ephemera of lasting significance. The end of Mucha’s life was marked by periods of depression and poverty. His work, which had been celebrated at the turn of the twentieth century was deemed, by the 1930s, passé and pedestrian. When, in 1939 the German Nazis occupied Czechoslovakia the Gestapo, (the Nazi secret police) came looking for the country’s best-known artist. He was arrested, interrogated and released. 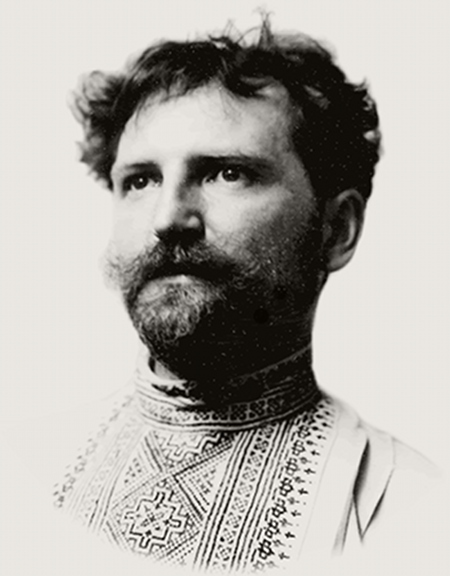 Shortly afterwards, Alphonse Maria Mucha died on July 14, 1939 in Prague. These days there seems to be a resurgence of Mucha-mania. 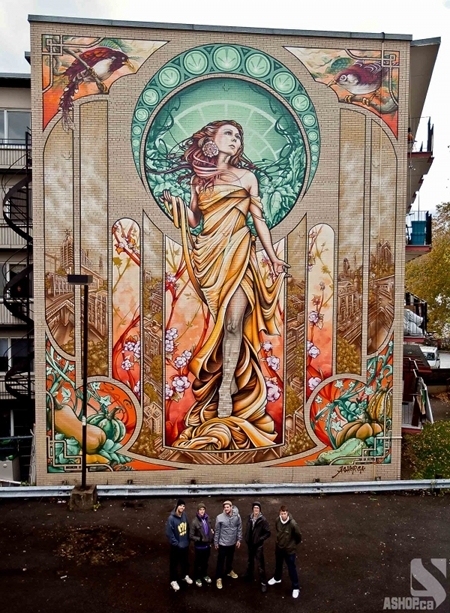 Right here in Montreal there have been ad campaigns that are clearly inspired by Mucha, as well as an enormous painting done on the side of a building in a residential neighborhood not far from the gallery. 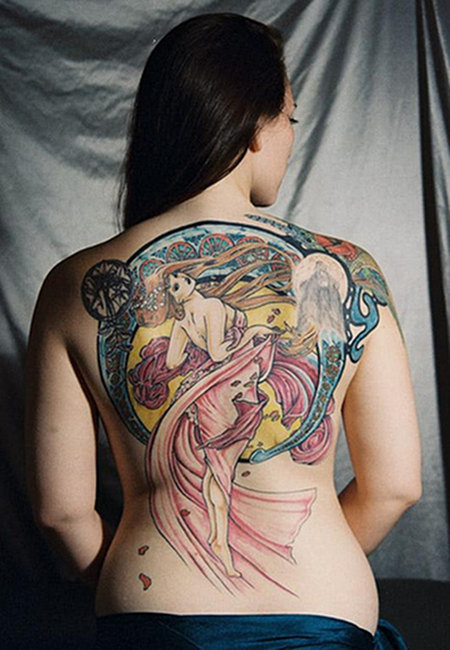 And through my new best friend and tattoo artist Nico, I learned about a new use for Mucha’s designs: evidently tattoo artists love Mucha and use his as inspiration for fresh, new (well, kind of new) body art designs. Who knew?